Festival of Trees 2018, a YWCA annual fundraiser, is being hosted again at Commerce Bank of Wyoming. The event is open to the public and there is no fee for entry. Decorated trees will be on display in the lobby of Commerce Bank, a co-sponsor of the event, along with over a dozen silent auction items. The public is invited to visit Wednesday and Thursday between 9-tpm. The silent auction begins Wednesday the 28th at 9am and closes at 6:00pm on Thursday. 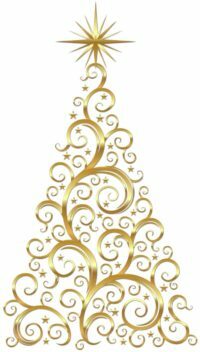 There will be a reception from 4-6pm on Thursday, November 29th and the live auction of the full-size trees will be at 6:30pm. . The silent auction begins Thursday at 9am and closes at 6:30pm on Friday. The public is encouraged to visit the bank and check out all the items. All proceeds from the event will provide financial support to the three YWCA agency programs that serve thousands of Sweetwater County residents each year. Here is your chance to get in the Holiday Spirit. Let us know what you want to donate and we can follow up with the details. Festival of Trees is November 29th at 6:30pm. If this is for a group/company list the contact person. For individuals list your name as you wish it to appear at the event. If you are part of a group please list the group the way you want it to appear at the event. Please choose what type of donation you are looking to make. Some guidelines are listed for each item. If you are donating a tree please give us a descriptive name for the item or enough details that we can "name' your tree. We also need to know the size. You can also describe your basket or wreath here.